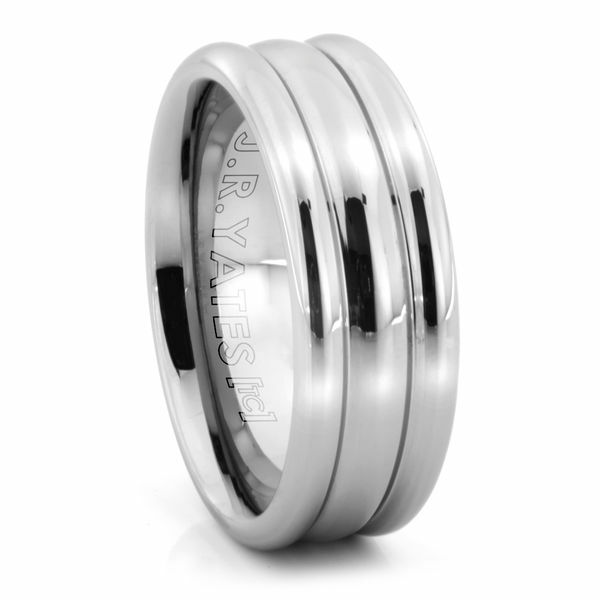 The METRONE J.R. Yates® tungsten carbide ring is the perfect cross of clever design with personal comfort! 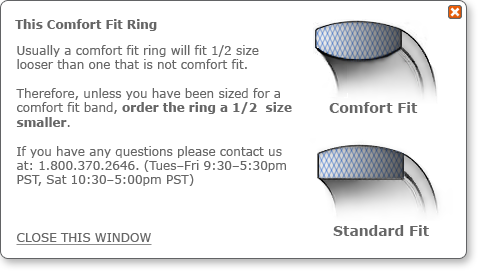 This handsome 8mm wide mens ring features a triple contoured design. The three domes reflect brilliance that will never be marred, scuffed or dulled. Don't be afraid to turn heads with this J.R. YATES tungsten ring! I really like the ring but it was a lot darker colored than in the pictures on the website. In the pictures it looked like a nice silver color, but once I received it, it had a dark gray color to it. 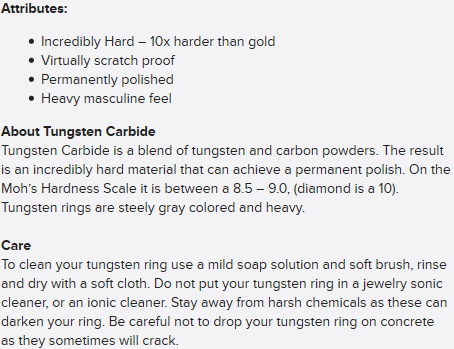 I have never owned any tungsten jewelery prior to this so I did not know what to expect. I saw it and had to have it. Was everything I hoped for and more. Great!